I am grateful to my members who have given me permission to share these testimonials. It’s been a year since I joined Feeling Fit and I can’t express how great of an experience this has been for me! Kim has been there every step of the way encouraging and yes pushing me to keep going! I truly appreciate all she has done for me, this is more than just a gym. The Feeling Fit chicks are not just work out buddies but friends that help you through another workout and are there for you! I feel so good and strong- it’s because of Feeling Fit! Quite simply, Feeling Fit changed my life. When I joined over two years ago, I was getting to a point of acceptance: I didn’t think there was anything I could do to change my mind or body and therefore unable to change where I was going in life. The moment I took my first class all of this changed. I was motivated to change my personal expectations, push my limits and stop defeating myself. Kim holds you accountable because she sees what you’re capable of far earlier than you can even dream it. Was any of it easy? No. But getting anywhere worthwhile never is. Feeling Fit is not only a fitness studio with amazing trainers and classes, but a place to get inspired, challenged and befriended by some of the strongest women you’ll ever meet. I am thankful for it every single day. Feeling Fit has the best classes around. Forza, Tabata and Gliding are fun, effective and worth trying. Every day of the week has a different class so you’re never bored. Having tried many gyms in the area, this is the absolute best work-out I have had, even with personal trainers. Kim keeps a watchful eye on everyone to make sure they are getting the best results possible. The ladies are fun and Kim keeps us laughing. Brookfield is fortunate to have such a high quality facility. Joining the Feeling Fit “family” was one of the best decisions I’ve ever made!!! Like many others, I’ve done the gym circuit and nothing had any staying power. With Feeling Fit I’m constantly challenged, never bored and always motivated and encouraged to push myself further. All this after 4+ years together. I’m a total type A personality who experiences constant stress on the job. Feeling Fit is like therapy for me, a form of active meditation. And one where I’m loving the results – a healthier and happier me! Kim has amazing strength in honing in on each of her clients strengths and challenges. She works all levels. Kim obviously loves her job, cares deeply about her clients,… it’s evident in all she does. If you’re looking to make a change in your life, where you feel support and momentum to keeping it constant, Feeling Fit is the place to be. I’ve tried out a lot of gyms in my day, in different states and different countries, but Feeling Fit is my favorite place to go to get and stay in shape. There is no where else I have gotten such a challenging workout, filled with enthusiasm, and most important of all have such a wonderful time! I follow a very simple workout mantra…if it isn’t fun, I’m not doing it. Well, at Feeling Fit, I not only go once a day, but I have such a great time that I come back for seconds! Kim has changed my relationship to exercise. I have worked out hard at different points in my life with good results but never felt I loved it. After I had 2 kids it felt impossible to find the motivation to work out. That has completely changed. I know if I just show up at Kim’s doorstep she will provide all the motivation I need. I LOVE the studio and the way Kim works with us. I lost 16 lbs in 3 months and attribute it to the classes and support Kim provides. She is truly gifted. When someone has a passion for their work it shows and it is impossible to be in Kim’s presence and not want to ‘Feel Fit’. The studio’s environment is warm, supportive and I have made awesome friends there. We cheer each other on and encourage success in one another. This is a direct result of Kim’s example. I recommend Feeling Fit to any woman who would like to feel healthier, stronger and happier. It’s a great place to get an awesome workout. You feel like part of a family. You have the one-on-one feeling of a personal trainer but in a class setting. Love it! I am a new member to this studio and have to say that I felt comfortable the moment I walked in the door of Feeling Fit. Kim has an incredible energy that seems to radiate into everyone in the room. Also, there is a great group of women who are serious about exercising and know how to laugh at themselves. The variety of classes is like no other. It was the perfect studio for me to get back into an exercise routine. I am already feeling stronger and seeing the results that I wanted. A big bonus is that babysitting is offered during the morning classes. A must have for a lot of moms!!! After talking with a friend about challenges yesterday, I was finally able to pinpoint the reason I love your classes so much. I have been working out since the early 90′s and have taken a wide variety of classes. There is no question that your drills and exercises are harder and sometimes more intense than anything else I have ever done. But you have a motivational quality like none that I’ve seen before. You walk the room and keep the students going. It is obvious that you love what you do. Classes are fun, playfully competitive and so worth my time. I have never considered myself the kind of persothat loved exercise; I always exercised strictly of necessity. However, since working out in your classes for the past 18 months, I have come to love exercise and I have you to thank, so THANK YOU! Kudos to you for constantly learning new things, bringing your knowledge to your students and opening your studio to keep us all healthy! Kim’s classes are always challenging and lots of fun! She is constantly updating her training and surprising me (and my body) with new forms of exercise. Although I have trained with Kim for several years now, I don’t feel like I will ever get to the point where her workout is not challenging or uninspiring! 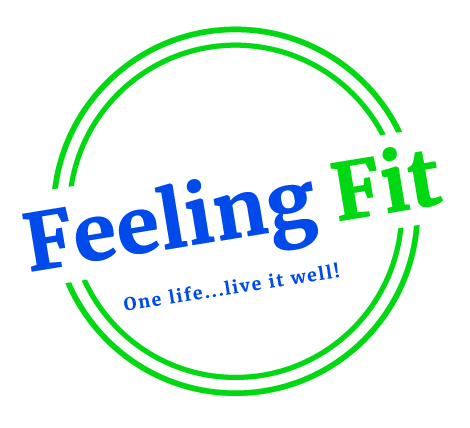 Feeling Fit offers a fantastic program. I am a former fitness instructor having worked or belonged to about every gym out there. Over the past three years, I have trained almost exclusively with Kim in a group atmosphere but have always felt like I had a personal trainer. The most amazing thing is how she continues to challenge me every single class. She offers a wide variety of classes from her extensive library of routines and exercises. If I had to name one thing she does best, I would say she is a “master” of muscle confusion which leads to maximum fat loss and muscle gain. Every class offers something new and exciting whether it is a different routine or new and different exercises. Kim is like ten instructors wrapped up in one. After three years I am still amazed that Kim continues to deliver the same level of enthusiasm, expertise, and personal attention as she did on the first day. Participating in her program has enabled me to feel good about myself(most important), have fun and gain valuable friendships. It does not matter if you are a novice or advanced. At “Feeling Fit” we laugh, share stories, complain a lot ( Kim kicks our butts), and most importantly we offer each other friendship, positive support and inspire each other to work hard and feel good about ourselves inside and out.